The implementation changes and first live tests of BeiDou and Galileo on Teseo-3 GNSS chips developed in 2013 are covered, bringing it to a four-constellation machine. By 2020, we expect to have four global constellations all on the same band, giving us more than 100 satellites — under clear sky, as many as 30 or 40 simultaneously. A one-chip multiconstellation GNSS receiver, now in volume production, has been tested in severe urban environments to demonstrate the benefits of multiconstellation operation in a consumer receiver. 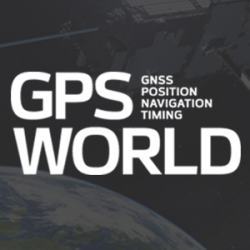 Bringing combined GPS/GLONASS from a few tens of thousands of surveying receivers to many millions of consumer units, starting with satnav personal navigation devices in 2011, followed by OEM car systems and mobile phones, significant shifts the marketplace. The confidence of millions of units in use and on offer should encourage manufacturers of frequency-specific components, such as antennas and SAW filters, to enter volume mode in terms of size and price.